A few months ago I received a voicemail from Kelly in Traverse City, Michigan. In her message, she briefly explained a conference where I was invited to give a short 12 minute presentation. At first thought I was only mildly interested. It was a long way to travel. Besides, what can I say in only 12 minutes anyway? But when I returned her call and listed to Kelly explain what a TEDx conference was, I became more and more excited. TED talks are limited to such a brief time so that they can pack the day with inspiration from a variety of voices. 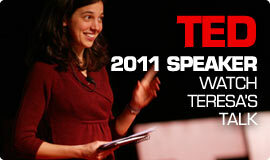 Kelly shared with me TED’s history, its goal of spreading wonderful ideas, and an impressive list of past TED speakers. When she was finished she asked if I had any questions. I spent the next few months watching as many TED talks as I could to prepare for the opportunity to give my own TED talk. I wrote many drafts of a speech in attempt to emulate what amazed me about the other TED speakers. But realizing that I cannot be anything but myself, I finally settled on one speech that I drafted last minute that I didn’t agonize over. I spent a few days rehearsing it so that I wouldn’t talk longer than the allowed 12 minutes, and finally, nervous and excited I boarded the plane to Michigan still believing that I would be out of place among most exceptional minds. But when I got to the TED conference, my mind began to change until I finally decided that this was exactly where I belonged. Most importantly because of the amazing experience I had and excellent new opportunities and connections I gained. In 2008 I dreamed of living on a boat and being a writer. I wanted to have experiences that challenged my conception of humanisms and convention in the world I inhabit. Most of all I wanted to write it all down and by doing so, pass that challenge on to someone else and invite them into the conversation. So I moved aboard and began playing with words on a blog. I never expected so many would read it. She is wrong, I thought, its the blogging that has inspired me. Writing a blog is a two way street. You inspire us to look at things from a different perspective and consider things we might not have thought of before reading the blog. We ask questions and make comments that make you consider your thoughts so that you can explain them to us. Also, we present opinions and ideas which can alter your perceptions of life since you can then see it through eyes you might never look upon in person. In our lives, we can develop tunnel vision of what needs to be done and how we are going to do it. A tradition which used to be a regular occurance was local group efforts. Women would get together and have a sewing circle or men would make up hunting groups. The purpose of these was not to just produce or provide. They acted as a comunity forum where ideas were discussed and friends were made. Blogs, facebook groups, and other online communities are our modern equivilent. The difference is that you may meet, develop a friendship, and trade ideas with people you might never meet in person. Hundreds or even thousands of miles make no difference. Teresa, I began following your blog a while back because of my interest in sailing. I also enjoy reading about people who live aboard and live a lifestyle based around boats and the water. This is a dream that I hope to make a reality in the near future. I enjoy your blog and find your passion for living a simpler lifestyle very intriguing. I am also a huge fan of TED, and watch the “Talks” regularly. I enjoyed your talk and learning more about what motivates you to pursue your dream. Thanks for sharing. I will continue to follow your adventures and use your experiences to help motivate myself to pursue my own. Well done! Thinking of you and praying for safe travels. Hi Teresa….great job….what a wonderful opportunity for you……and we are blessed to be in your life journey. We are excited, Bridget will be home for 12 days and the whole clan will be together for a long weeken…and wen and kiddos will be here a month. Do you remember the words, “I can’t wait to see how you unfold…..”? I always knew you were destined to do great things….explore, adventure, question, challenge yourself…learn….teach…….while many things my girls have done make me extremely proud, I seldom get the opportunity to tell the world…..your Ted presentation was another one of those times….I was moved to tears with a huge smile. I love you. Please be safe. 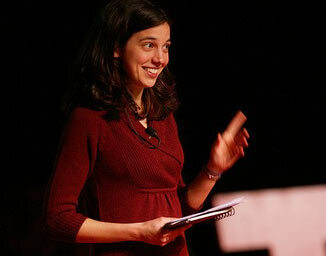 I just watched your video from the TED conference. The timing could not have been any better. This is exactly where my wife and I are in our lives. We are in our late 40’s and have been chasing what we thought was the American Dream. Instead, it was more of trying to keep up or out do the Jones. That’s when life throws you a curve ball and we pretty much lost everything, but still have each other and a new dream. That is to simplify our life, which means sell almost everything that won’t fit on a sailboat and begin our life on the sea exploring the world. We, too, have come to realize that it isn’t the stuff that matters to us; it’s the memories, family, friends and purpose of life that matter most. Thanks for being such a great inspiration. You are such an inspiration. My husband and I have a dream and a plan to own our own sailboat and set off to create MORE memories together. We’ve been so blessed with so many already, but this dream will be the cherry on the icing on the cake! Actually, I have those fake cherries so it will be the strawberry! We too are looking to simplify our lives (which – yes – means we’ve overindulged which I HATE to admit). We are determined to go back to the days where we had nothing and were happiest! We cannot wait to focus on our internal goals of our souls and join you on the ocean someday soon! All the best – SAFE SAILING! Wow! You are truly an amazing, intelligent and self-assured young woman! What an incredible opportunity you have been given and you have done tremendous things with that opportunity. I am so proud of my young cousin and incredibly jealous! Be safe and enjoy your awesome journey through your life. That was a very engaged and engaging talk. Interesting to hear you say simple living is a values driven lifestyle. I think all lifestyles are values driven. its just that as long as the lifestyle is mainstream we don’t need to think about the values. Just slip along with the crowd. You sound naive and immature. My wife and I both work. We chose our careers for passion and we make a sizable income. We don’t live an extravagant material life we could afford one but its not our pleasure. We enjoy our work, our life together, we volunteer, we donate our time and money and we live a simple a life. Life isn’t about chasing ideals of any kind its about knowing yourself what makes you as an individual happy and sharing as a person. Its about coming together with a partner finding love, or family or a dream, or helping someone out who needs a hand (just because they need a hand). Its not for anyone else to judge or preach what is correct or more meaningful its about understanding we are all different. Our wants and needs are different. Freedom is happiness and what that freedom is is different for every person. You don’t need to try and preach simple living, happy people figure it out all on there own its individual. I believe that if you listened to my TED talk you’ll find that much of what I said shares the same sentiment that you wrote about in this comment you posted on my blog. In some cases, nearly word for word. You also said that “We don’t live an extravagant material life…We enjoy our work, our life together, we volunteer…” It sounds like you are doing exactly what I stated at the close of my TED talk which is what I wish for every American; that you have the opportunity to choose simplicity and to choose to cultivate those internal goods that Aristotle identified. Because your comment aligns so well with my TED talk, I’m confused by the judgement of sounding “naive and immature.” I’m having a hard time believing that you were able to listen to the entire talk before commenting on it. Yet at the same time it is such a strong judgement that I find it equally hard to believe that anyone would say that without carefully listening to it entirely. That statement, in the context of the rest of your comment, comes as a surprise to me. Although you say that “life isn’t about chasing ideals,” I must say that I’m always pleased to hear that people are out there chasing ideals such as, “finding love, or family or a dream, or helping someone out who needs a hand,” as you mentioned. Its ok if we disagree on the meaning of “chasing ideals” but what we do agree on are at least a few things to prioritize in life. I try to maintain this blog and all its discussions with a high level of honesty. I’ve discovered that your comment comes to me from a false email address and a suspect IP address. If you choose to be involved in the discussions on this blog again, you’ll have to be more open about your identity. If you will, please permit me to give you a quick critique of your speech, writer-to-writer. The main reason I love your work is your specificity. So many inspirational speakers use sweeping generalizations and unrealistic ideals in their speeches, hastily plastered over with pithy passionate buzz words. Their audience is left feeling ephermerally moved to accomplish their foolhardy plans, only to be left in chagrin when all comes crashing down. Your blog and your TEDx speech detail specific, articulate quotations from modern-day sources and relevant personal experiences. You don’t try to hoodwink your readers into believing your way is the ultimate path, or that acheiving their dreams is simple as wishing on a star. Instead, your speech reveals to your riveted audience what was always there: a choice. You say: these are the facts; do with them what you will. I’ve been reading your blog for at least a year now. I give you my best wishes in finding that ice berg, if that’s still on the agenda. P.S. I love the tiny smilie face in the lower left-hand corner, by the way. Thank you for your honest and encouraging words. I do strive to keep an open mind about simplicity as opposed to insisting its the best way to live, and I’m glad that you have been interpreting it that way. And yes, the iceberg is still on the agenda! 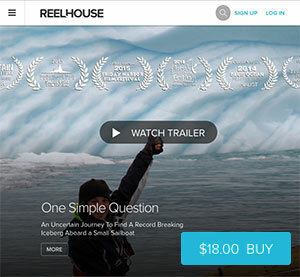 We are documenting our journey at http://www.simplequestionmovie.com. P.S. Where is the smilie face?!?! It eloquently reminded me why I gave up a promising science career 25 years ago to build a boat and go sailing. I did this for several years then got entrapped again in the consumer, debt driven society, which has taught me some painful lessons; the most important of which, is that I have to be who I truly am. For a while I thought I was a remnant of a dying breed, but now I am finding others of like mind, and once again becoming part of that great nation that connects all peoples. I’m now back on a boat and loving it! Thank you for sharing your dreams. Wishing you fair winds and bright skies. Best Wishes and I hope you can keep things simple with the movie, sponsorship deals and all the publicity. Keep to your path…..
Keep pushing your boundaries and good luck with learning more about diesel engines and electicals…….. Have you seen the book by Nigel Caulder? Good place to start. Thank Nick! Nothing is simple, and especially making a movie. But I believe it aligns with my vision Simple Living in that I am doing it primarily for its intrinsic values of creativity and learning. I never expect it to be easy, but to be honest, I actually surprised how much work it is! More than I had planned. Yes! Calder’s book is excellent. It helped me diagnose my engine problem. I ended up having to replace a bent connecting rod….quite a nice project for a first-timer! But I still need to learn a lot more. Great speech, an inspiration. I feel you are right about freedom of choice. People are often judged by their material wealth, even if it is a house of cards. What was once healthy and good; ‘the american dream’ has morphed, I think, into something unhealthy and perhaps destructive. Most people carry way too much debt and have no idea how their lives are becoming more and more restricted. I learned my lesson when I was a young man. I had $1000 in credit card debt and decided to pay it all instead of monthly payments. Sent a check and thought that’s that. Nope. Still twenty odd dollars in interest owed. Called the credit card company they told me exactly how much I owed them and I sent another check of that amount. Done. Nope, not done. Got a bill for a dollar or so because of interest accrued during the week it had taken my check to arrive… Fine, here’s your dollar. Nope, same thing now I owed them, believe it or not, $0.11. I felt like I was walking waist deep in molasses. So I sent them five dollars and keep the change. Never again did I go into debt. Life can be kept very simple if people simply save for what they need. If you can’t afford it, don’t buy it. We simplified our lives. Bought a small house raised chickens and had a nice vegetable garden, and did not try to keep up with the rest. We did buy a sailboat years ago, but don’t live on it. However when I sail, live is simple. I tack, reef, listen and feel while at one with myself and nature. We dream about moving onto a sailboat and exploring the world, and I felt your comment how you chose to make the decision and then figure it all out was well put. We are not ready yet but when the time comes we will cast off and explore and experience the wonders that are out there. PS, Regarding the waterspout. I never felt so alive when I was chased by a black bear defending her cubs, all my senses so alert, so in-tune with my surroundings. Just the wit of my brain, strength of my body and courage in my heart. Thanks for you courage! You are amazing! To the highly suave, and ever so mature , Doug I think it was and his equally high earning spouse, you know , if you paid some , meager working guy , to put , “install” huge mirrors on all of the walls and ceilings in your home, you would be able to admire yourselves from even more angles ! Just imagine the thrill, you could watch yourself , as you self inflate ! i first saw you on-line over a year ago while researching sailing and living aboard- you were one of the first channel markers -helping guide me as i trolled the internet for information and motivation. this evening, i came across your blog and this video (which amazingly somehow i missed previously) -and i’m thrilled to learn more about your journey. i am north of 50. earlier this month i became the owner of a 32′ sailboat. my wife and i and our two teenage sons will be spending the coming season learning, re-furbishing, becoming sailors- shedding some of the material and filling those voids with something more spiritual and internal- and simple. who knows where this journey will lead but it feels right and so i am just following- “it”. i can’t wait, and dream of leaving some things behind as we move forward. I happened to stumble upon this blog while looking for some information related to sailing. I too share your vision of sailing, simplicity and the pursuit of happiness. I do not live aboard yet, but i own a small sailboat (cat 22) and enjoy sailing her every weekend in the pacific ocean (Socal area). I am very passionate about sailing and would like to talk to fellow sailors. I totally agree with you that fear could only be managed during sailing and that is to keep attempting to do/face what you fear the most. I was very inspired to watch your videos and talk. Today, I sail Solo most of the time, but i have always enjoyed sailing much more with some company. I would like to hear about opportunities to crew and gain experience in offshore sailing, as my dream is also to sail around the world some day. advote of the line ‘less is more’ and it’s so true. Good luck in your life and keep away from those waterspouts! 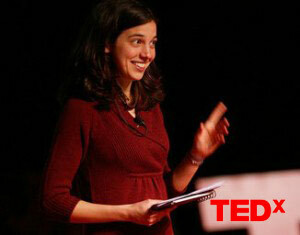 I loved your TED talk but was it really “blogging” that inspired you? You mentioned in your last sentence above? Wasn’t it your drive to experience the true essence of life without the clutter and responsibility of “things” or “stuff” like we have been conditioned to want? I, like you, grew up with a father who liked to sail. Mine sailed and raced all his life in New England before he married my mother. He got his first boat at age 11. He and my mother took me and my sisters out with them sailing as babies. I don’t remember but when they were first married, they had an”S boat” and according to my mother, my next youngest sister was almost born on the boat —- probably because the wind dropped and they couldn’t make it back faster without a motor. conditions with no motor.He taught me to skull the row boat with one oar. I also learned how to make a landing at a dock without a motor. Our last boat was an L-Francis Herreshoff designed boat called a Cape Cod Marlin Daysailor (23 ft. long/11 ft. cockpit and cutty cabin). He added a bowsprit to reduce the weather helm later so maybe it was nearly 26′ LOA. I came in second in our class in the first Herreshoff Rendesvous in Bristol, RI. Several times I would take that boat out sailing by myself for an afternoon sail. When you said in many of your videos that before you bought your boat that you had also never sailed in a boat yourself solo. Did did you mean never under any conditions or just offshore and overnight? I’m curious because your videos are giving me confidence as my experience sailing, although it was always day-sailing in familiar Narragansett Bay waters and nearby Atlantic coast, include almost exclusively maneuvering a full keeled boat without using a motor. I’ve always thought to do something like what you’ve done you HAVE to have had experience sailing off-shore…. hopefully I’m wrong. 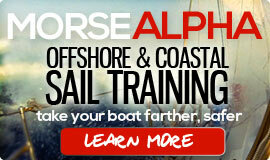 I had significant experience as a professional and recreational sailor before I purchased my boat. I had sailed coastal and offshore, on day trips and long passages. However, I had never sailed solo. When I purchased my boat I began sailing solo at a slow pace. I started out with day hops, then sailed into the night, then overnight, then on passages. However, my husband (boyfriend at the time) and I were able to stand watches while on our solo (in convoy) passages. I wouldn’t ever recommend sailing solo on passage without a watch keeping plan. Solo sailors often depend on electronics to be their “eyes” while they are sleeping. Jessica Watson is an example of that. In her book on one of the first nights of her round-the-world solo passage she describes how she “set alarms” before she went to bed. I assume they were to alert her of an approaching vessel or significant course change. However she also awoke to crashing into a large cargo vessel! I would always caution people who plan to do some significant solo sailing to consider the times when you are asleep! How close will you be to shore? Is it a high traffic area? How will you be “keeping watch,” and are you prepared to take that risk. Good luck! Anything is possible! I am looking for contacts in the Victoria, B.C. (Canada) area. Families on boats? My husband and I are moving from a house and land in the interior to the sea, onto a sailboat. We have young kids 7 and 9. Big move for us, so I am somehow trying to prepare for it by making connections with other people who have a similar lifestyle. If you can recommend anything it would be greatly appreciated. I’m sorry but I don’t have any contacts in that area. Good luck and keep me posted on your adventures! Pingback: Teresa Carey: Sewing, Self-sufficiency and Icebergs | Do-It-Yourself Advice Blog.